With all due respect to Bartolo Colon, San Francisco Giants’ lefty Madison Bumgarner is the best hitting pitcher in all of baseball. His 13 career homers (including a rare four-bagger against Clayton Kershaw) lead all active pitchers, and in batting practice on Sunday he put on a show, launching several balls into the upper decks of Busch Stadium. 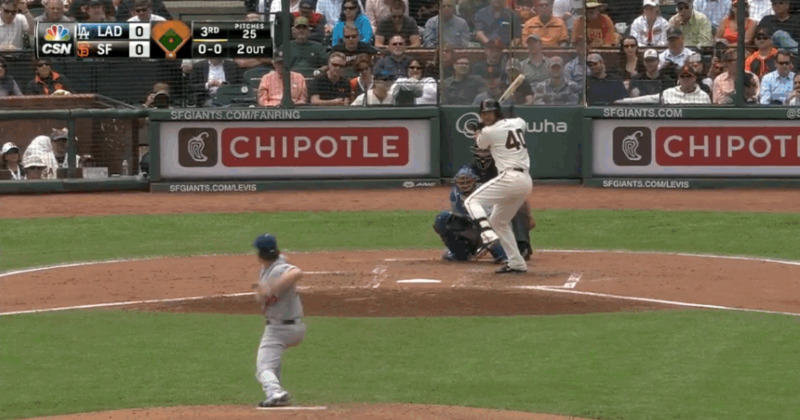 Such hitting prowess has Bumgarner itching for a spot in this year’s Home Run Derby. “I want to do it,” Bumgarner told ESPN’s Buster Olney on Sunday. The only problem is that Giants’ manager Bruce Bochy — the one person whose opinion on the matter actually counts — isn’t on board with letting Bumgarner participate. Bochy had previously said he would let Bumgarner hit in the derby if asked, but now he is understandably (if a bit disappointingly) too worried about his star pitcher wearing himself down swinging the bat. The Giants currently sit atop the NL West standings with a record of 35-24. Bumgarner, for his part, is 7-2 in 12 starts with a 1.91 ERA. Bochy is certainly more focused on keeping Bumgarner healthy and on the mound come playoffs. But Bumgarner’s ability with a bat in his hand is arguably more impressive. And really, the idea of one pitcher participating each year in the Home Run Derby is too good to pass up. If Bochy won’t let Bumgarner compete, perhaps Terry Collins will let Bartolo Colon replace him.